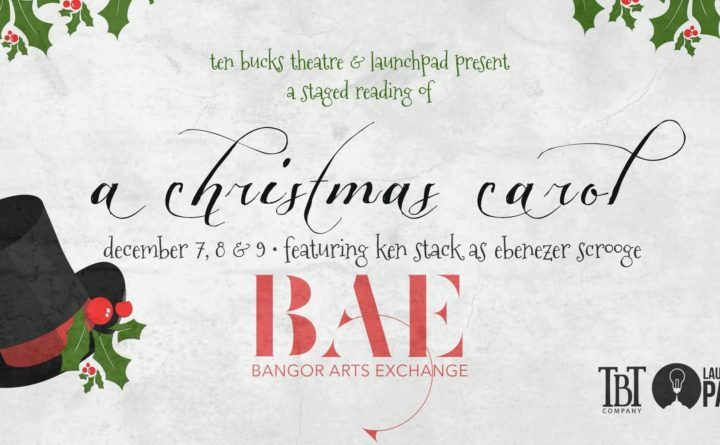 BANGOR — Ten Bucks Theatre Company will present a staged reading of the holiday classic “A Christmas Carol” at 7 p.m. Dec. 7-8 and 2 p.m. Dec. 9 at the Bangor Arts Exchange, 193 Exchange Street. Directed by Andrea Litltefield, this production is sure to help start the holiday season off right. Tickets may be purchased online through Eventbrite for $10. Online ticket sales end at 5 p.m. Dec. 5. Tickets may also be purchased at the door for $15.